While our dogs can Water Lovers, we sometimes run out of ideas and places to go to help them get their stimulation and exercise for the day. 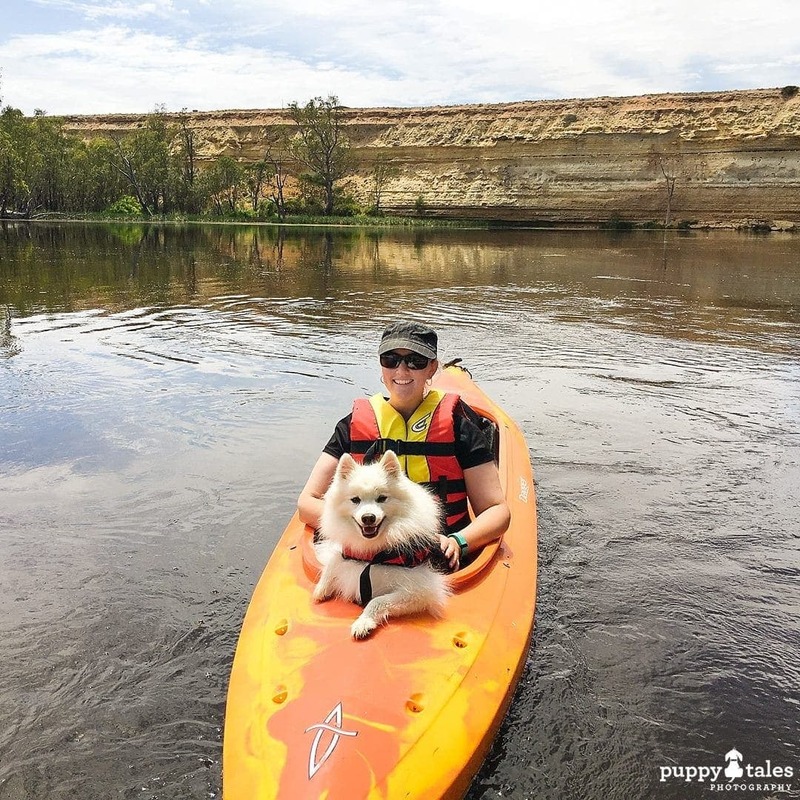 We have put down some ideas on what to look for and some things that we have done while on our travels to give our dogs some water fun. A lot of the time we have found that one area may not allow dogs, there is usually a space for dogs not too far away. Your Water Lovers might like a dip in the ocean, but having a run on the sand can be just as much fun as well as good for them. The softer ground will put less of an impact on their joints and also allow their paws to dig into the sand without harming them. We dog lovers may not fully agree, but there are some beaches where dogs are not allowed. We have also found some that only allow them at certain at times, or even only on a leash. Just check the signs in the local area for the regulations. Safety Tip – Check signs and conditions if you are going to let them swim or ask locals to ensure that it is a safe area for your dog to head in. Be confident in their swimming abilities and/or that you will be to rescue them if need be. Whether you get there on your own boat or with a ferry company a day on an island is a amazing experience. You might just be able to find a beach that’s just for you and your dog, and it’s lovely to be where there’s not the traffic, noise or population of the mainland! A great way to get out on the water is by either having your own or hiring a paddle board. It can be peaceful and also great exercise for you. Paddle boards come in a few different varieties now – inflatable, soft foam, solid – and we have found that the foam type are the best for learning with your Water Lovers. Have a look at the tides and wind conditions before heading out to have a more pleasant paddle. And a local hire company will usually be more than happy to point you to the best place to go. Easy if you have your own boat, but if you don’t then you can hire a boat in many coastal towns. It’s a great way to sightsee and also lovely find your own patch of sand or river to have a swim or picnic with your Water Lovers. Most of the hire companies do not require a licence as they are low powered boats and you will be given a safety brief and map of where you are allowed. Great fun and an easy way to get your exercise in for the day! 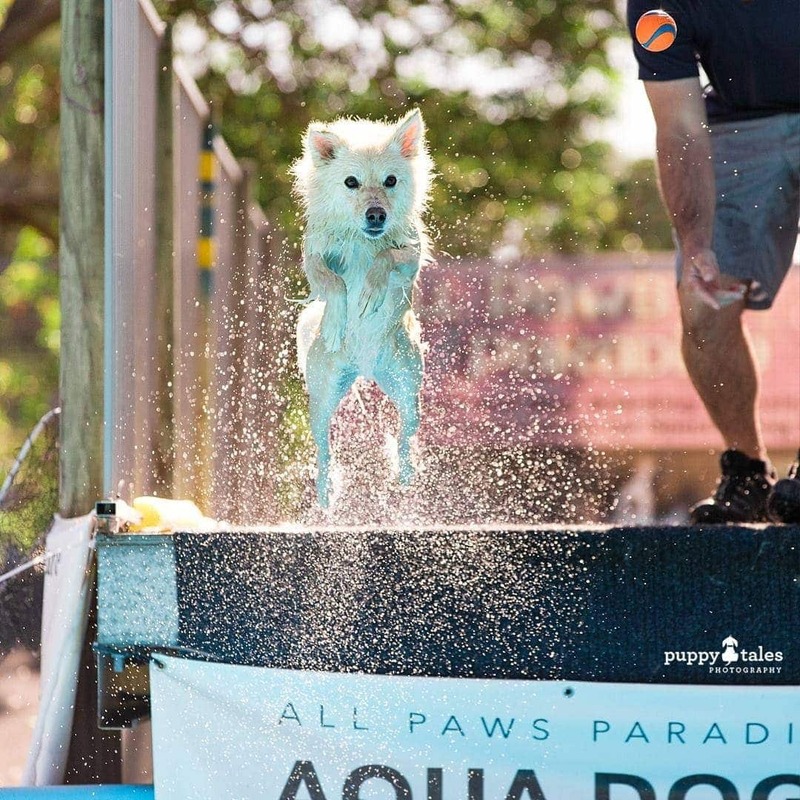 Add going on a water adventure with your dog, and then it has just turned into one of the best things you can do! they will get mental stimulation from seeing new scenery, as well as chasing the drops that might fall on them from the paddle. Try to get on a calm river, flat bay or lake to test how they go and always remember yours and you Water lovers life jacket. 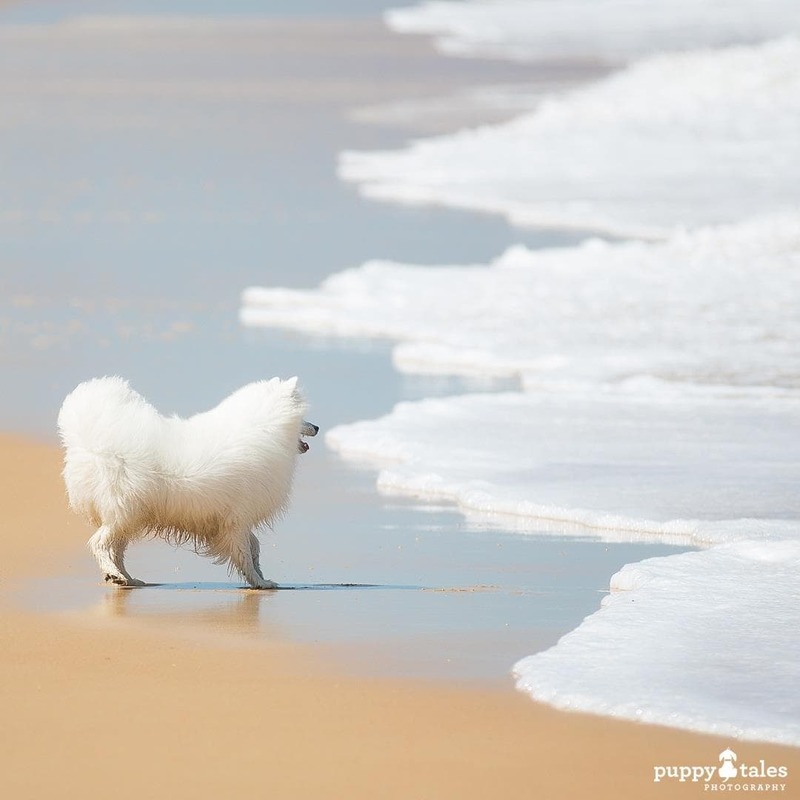 Find yourself a beach, river, rock-pool or a dog friendly pool and head out for a doggie paddle! 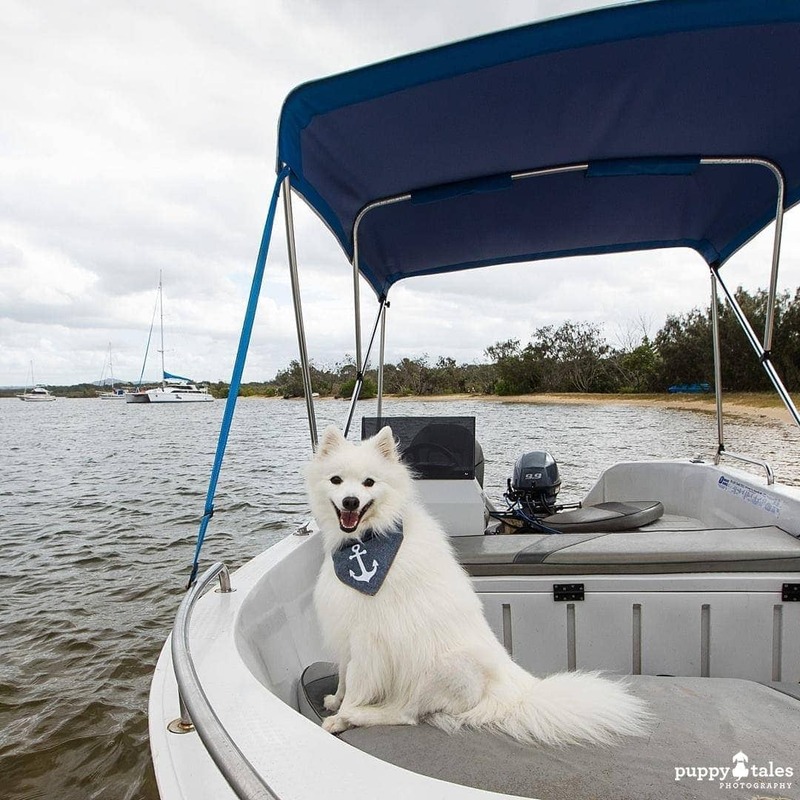 Our dogs have life jackets to help with their water confidence and for our piece of mind too. 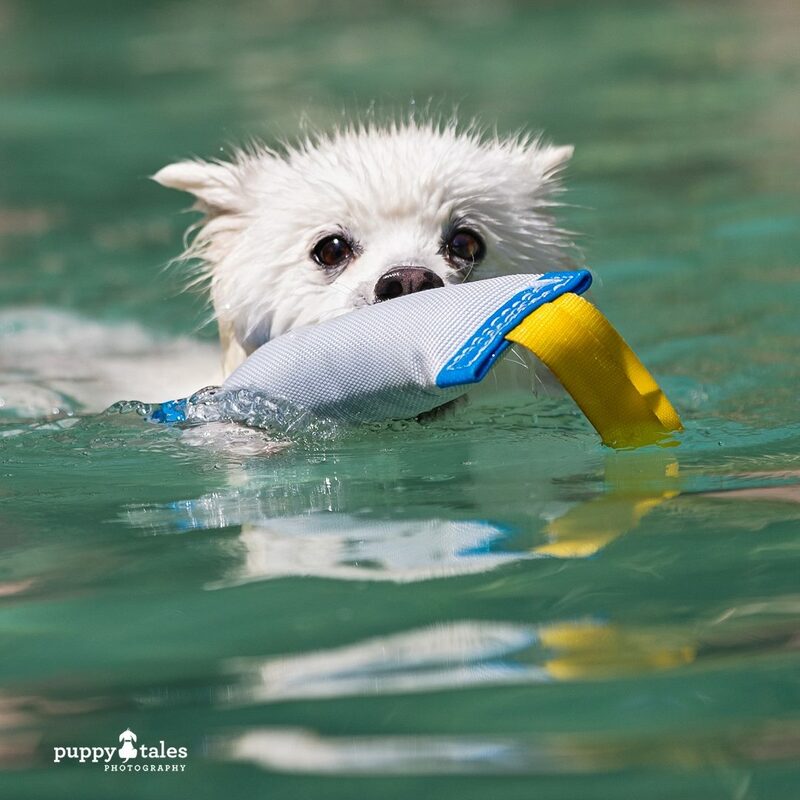 Safety Tip – Be sure to not let your dog drink too much water as they it might make them vomit or give them the runs, or more seriously can led to secondary drowning. A children’s foam surfboard is perfect for using with your surfing Water Lovers. 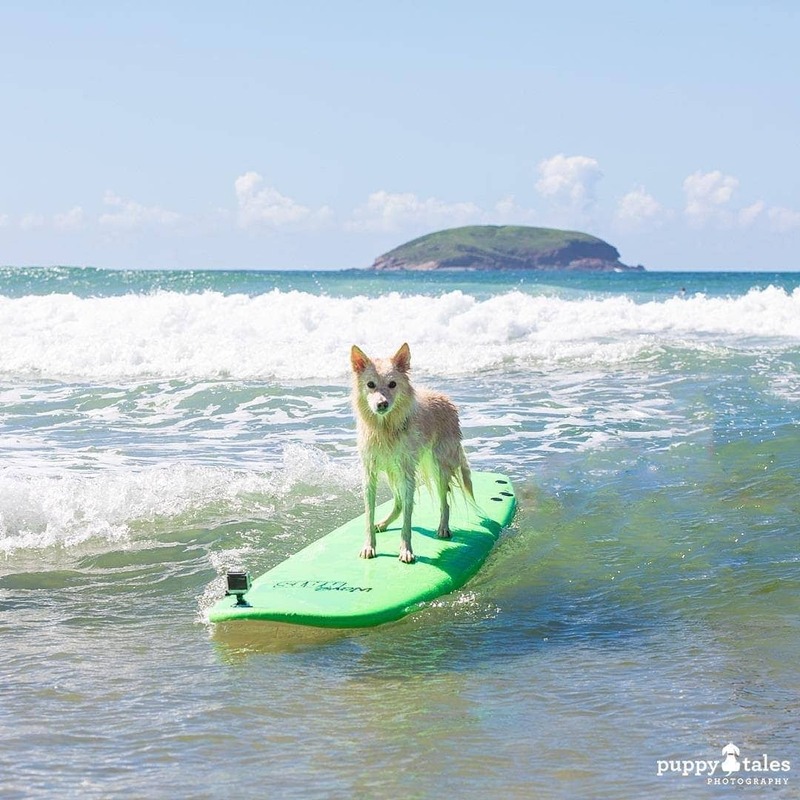 You don’t need big waves for this, just something to push your dog in to the shore. When beginning, try to keep a hold of the board or have someone to catch it once they have ridden the wave. Getting out on the water under wind power is a more peaceful and relaxing way to see the sights from the water, provided the conditions are good. The local Tourist Information centre should be able to point you in the direction of a company that’s dog friendly or you could enquire directly. Giving your dog some dedicated exercise and fun can be a way to not only burn off some energy, but also to strengthen your bond with them. You’ll also get to hang out with like minded dog owners. Social media is a great way to find these places or an internet search should turn something up. A walk down the beach at low tide can give you the chance to explore the water that is left in the rock pools. You might also be able to find larger rock pools that are deep enough for your dog to jump into…and you too! Swimming in rivers is a safe way of being able to cool off from the heat of the day, just know yours and your dog’s limits. Slowly moving up and down the river gives you a new view every minute. 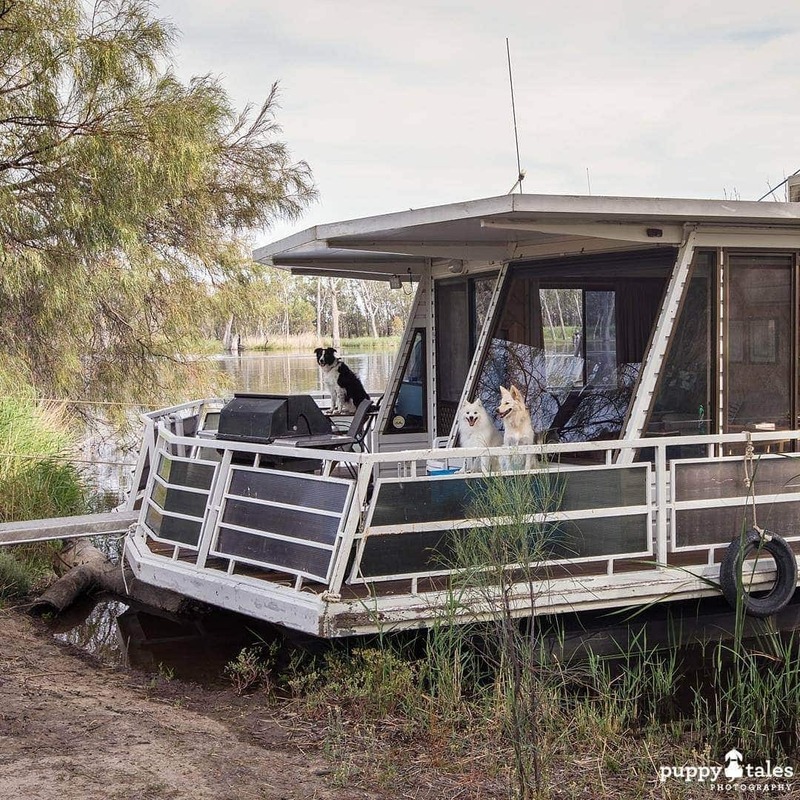 Your dog will enjoy being able to explore new areas and also swimming in the river as you relax and unwind. And if you find a place that you like, then you just stay the night…or two! 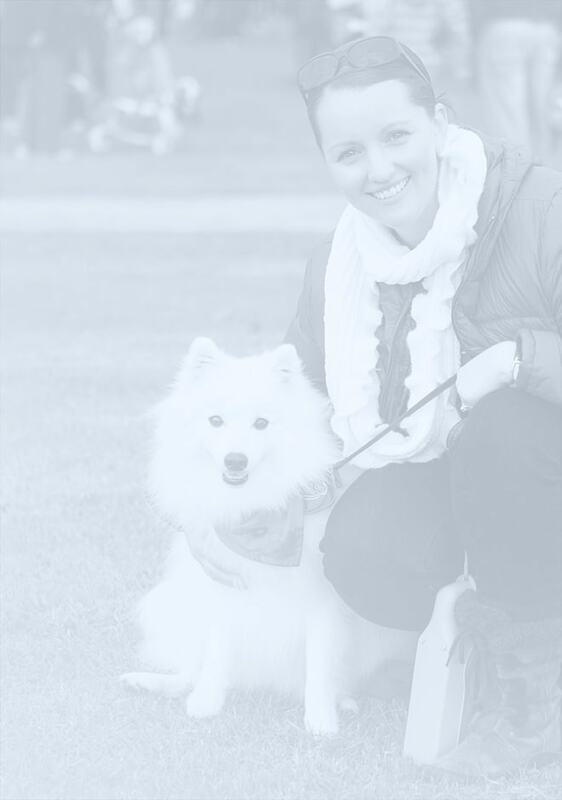 We love helping our readers to have a Pawsitive experience with their dogs. 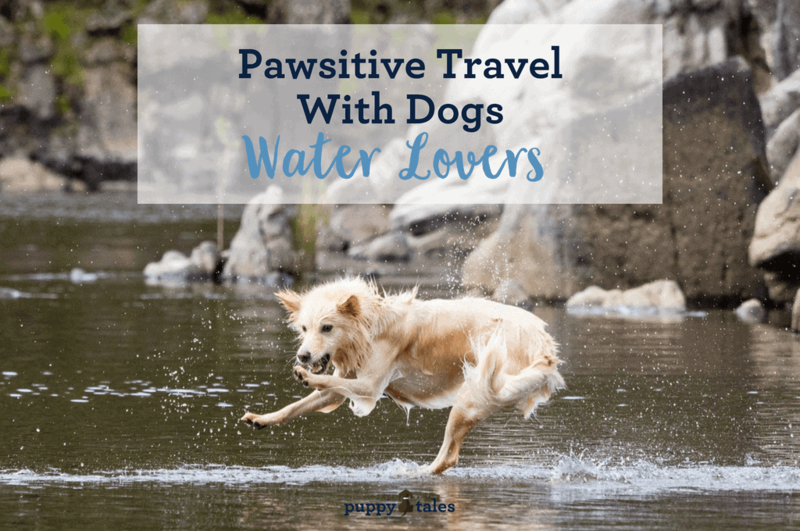 You can find some more of our ideas in our Pawsitive Travels With Dogs series. Sam is the ‘other’ human half of Puppy Tales HQ….and Keiko & Summer’s other parent. Sam combines his love for his family, animals, travel and the outdoors to get the most out of life. The snowfields, surf beaches and everything in between is on the agenda for Sam and his best mates. He knows that by giving your dog a great life, it comes to your own life with interest.